A Slice of Smith Life: Wordless Wednesday: I've Got My Eye On You! A few weeks ago, I was waiting for my oldest daughter to finish piano lessons and my 4 year old here fell asleep in the car. 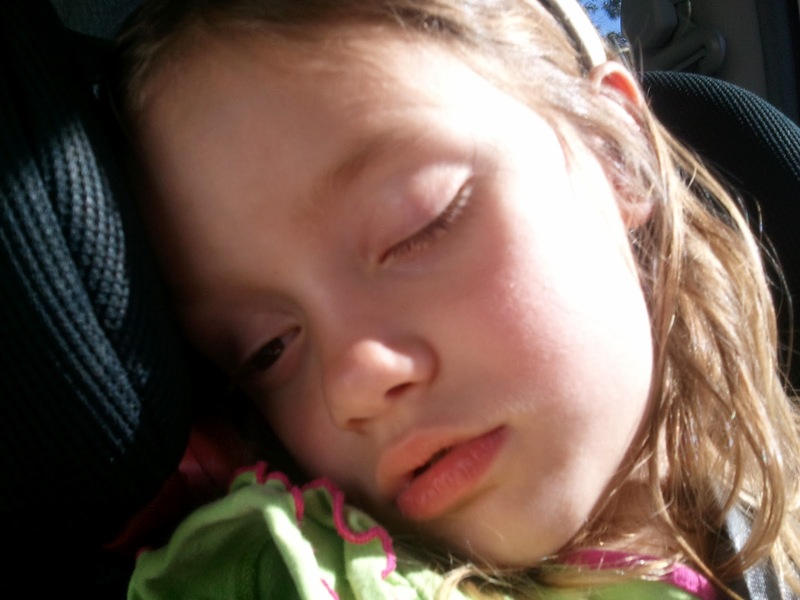 Boy, was I surprised to see that she had one eye open while she was sleeping when I turned to check on her in her car seat! It was a little freaky! :) Even while she's sleeping, she has to know what is going on and keep up with everything and everyone! :) Happy Wednesday! Happy Wednesday to you too. I loved the picture and thought.